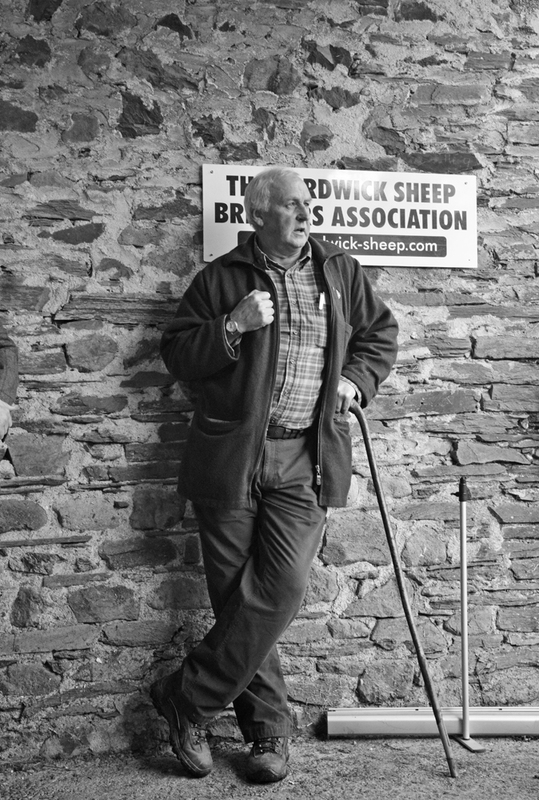 Herdwick – A grand day ont Joe Relphs Yew Tree farm…. Yis Aye. “Good stuff comes in Laal parcels“….they`ve stolen my best one liner.That`s exactly what i keep telling people….well it`s my excuse anyways ha ha. The farm people are actually talking Sheep, Herdwick ones which are naturally quite a small breed.I was invited over to Yew tree farm in the Borrowdale valley recently to spend an afternoon with the farming family and to follow the Herdwick process all the way from fell to plate. If anyone`s thinking of coming up to the Lake District then put this one on your list.It`s so beautiful here and peaceful just isn`t the word. Bring a picnic , sit quietly, chill out and stare in amazement at one of the most stunning places on earth. 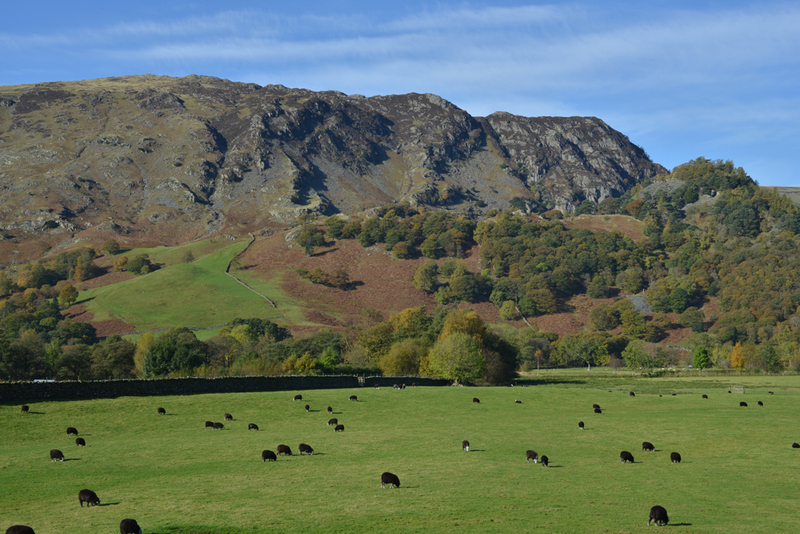 No cars, very few people, just birds , nature and Sheep….lots of em. So….Here we are in Rosthwaite , sitting right in the middle of the Borrowdale valley just outside the town of Keswick.If anyone`s thinking about coming on holiday here then Keswick , Ambleside, Grasmere or Windermere are perfect towns to base yourselves in if you want to be right in the thick of things.Great atmosphere at night in the traditional pubs and if you`re not up for that then simply drive for 5 minutes and you`ll be in somewhere like this below. I adore Lamb , always have done and it`s definitely my favourite meat by far.I`ve eaten it in many different forms and had the various cuts cooked for me by some of the worlds finest chefs over the years. Today was the first time i`ve ever experienced Lamb that actually tasted of Game.If i`d closed my eyes and sampled the Herdwick in a blind tasting of meats i would have plumped straight for “some type of game” .Rich and full flavoured from grazing on Heather , wild herbs and grasses on the Borrowdale fellsides and also as meltingly tender as New seasons Spring lamb.It was definitely a taste experience that stopped me in my tracks with the `wow` factor. And so the journey begins….I get the evil eyed stare as i wonder what treat he`s going to provide for some happy diner. Ahhh , now this little beauty sits all alone taking everything in…even managing a wee smile. Which end up something like this.The various cuts expertly prepared for Chef from a side of Herdwick. Talented young Cumbrian Chef Ryan Blackburn heads up the team at “The Cottage in the Wood“. A magical little hideaway tucked into the Forests of Bassenthwaite. Ryans amazing food earned him Cumbria Life “Chef of the year 2013” .Ryan used various cuts of Herdwick to demonstrate its use as a perfect restaurant meat to work with. 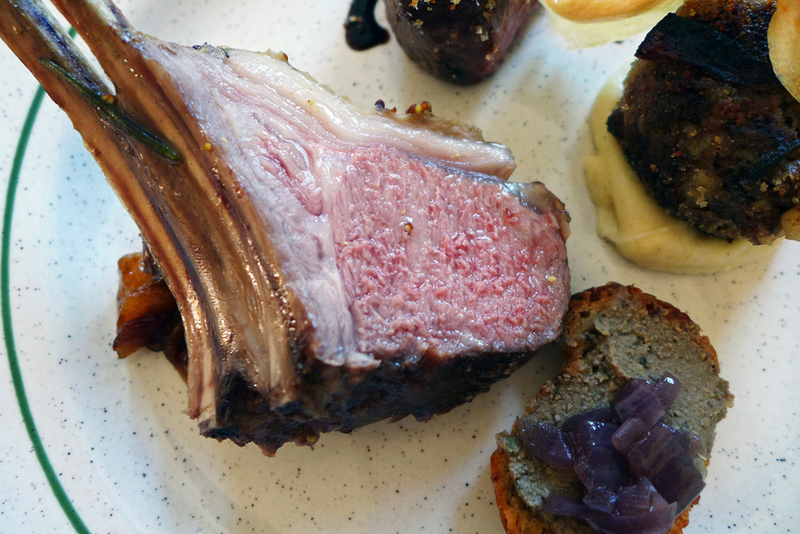 Once Ryan had finished demonstrating the restaurant style food it was then down to the Chefs from The Leathes head hotel to turn the other various cuts of Herdwick into a tasting plate of Cumbrian Lamb. The racks were roasted off in a glaze of grain Mustard and Rosemary. Rack / Best end of Cumbrian Herdwick glazed with Mustard and Rosemary. Slow roasted with herbed crumb. The Cumbrian Herdwick Lamb taster for the demo guests….I was a little hungry with all that mountain air and so they insisted i ate 3 of these….that`s good local hospitality. 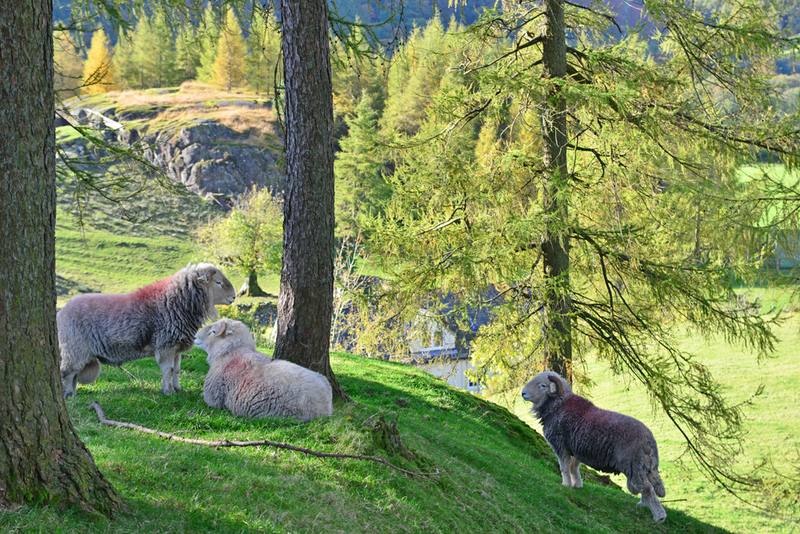 The Herdwicks graze on the Lake district Lowlands. 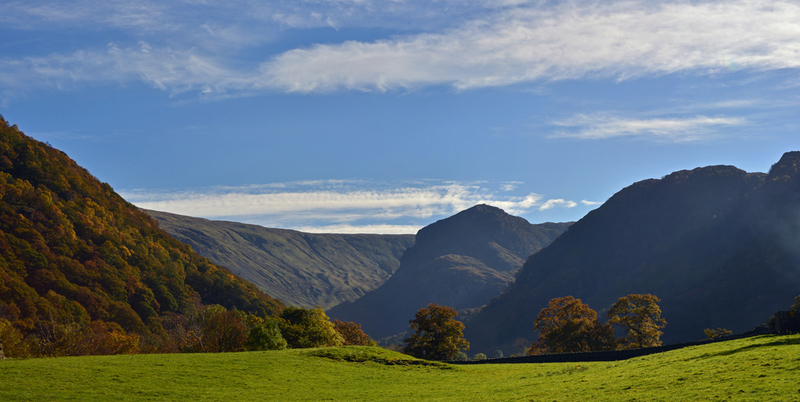 The view from the farm and up the Borrowdale valley towards Honister pass. The view over Derwentwater , just before the town of Keswick. The mountain to the right is Skiddaw , 3,054m and 6th on the list of Englands tallest mountains. Previous Post The George and Dragon with The Lowthers , Penrith. Next Post Alimentum , Cambridge – Chef Mark Poyntons “Menu Surprise” and “The Madness of The Laird”. Hi Jules and thanks for that. Mmnnnnn now then , first date …. Lenclume , but thats pretty quiet. Drunken duck has a nice atmos but its quite out of the way.Punch bowl at Crosthwaite does good food and thats in the valley. Basically you`re spoled for choice really.Good luck , dont dribble and shout up if you need any more info. cheers. Great pics from a great day! Love the blog Alan.